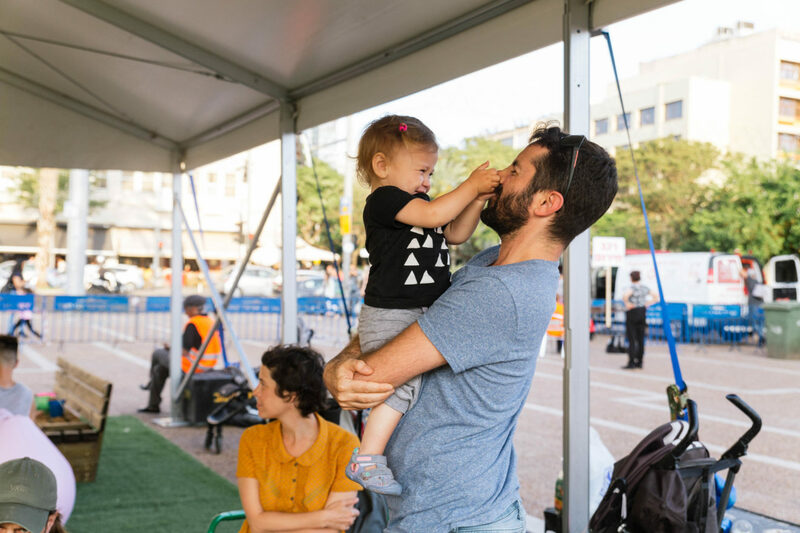 On a recent study tour to Tel Aviv, we struck up a conversation with a father who was with his three-year-old daughter. Without telling him who we were or why we were interested, we asked him how it was to raise a child in the city. He replied that the municipal government has recently embarked on a major initiative to make the city more child-friendly, and he thinks that’s great. This is only one anecdote, but it is a very encouraging one. It suggests that the Urban95 programme in Tel Aviv is well on its way to psychological saturation. In fact, we shouldn’t call it a programme – it is, as the Director General of the Municipality put it in a meeting with municipal staff, “not a programme but a way of life”. The speed of progress in Tel Aviv is both remarkable and heartening, as is the level of political will. In most cities, we have conversations about Urban95 only with people in charge of city services that are obviously kids-related, such as schools and preschools or parks and playgrounds. When Tel Aviv sent city leaders on an Urban95 study tour in Copenhagen late last year, which was organised jointly with Gehl and Gehl Institute, they included leaders of departments with much broader responsibilities. On our visit to Tel Aviv we found a palpable desire for continual improvement – not something that always exists among senior city management. In just a few months since the Copenhagen study tour, the group of municipal employees thinking seriously about Urban95 had expanded from 14 to over a hundred. 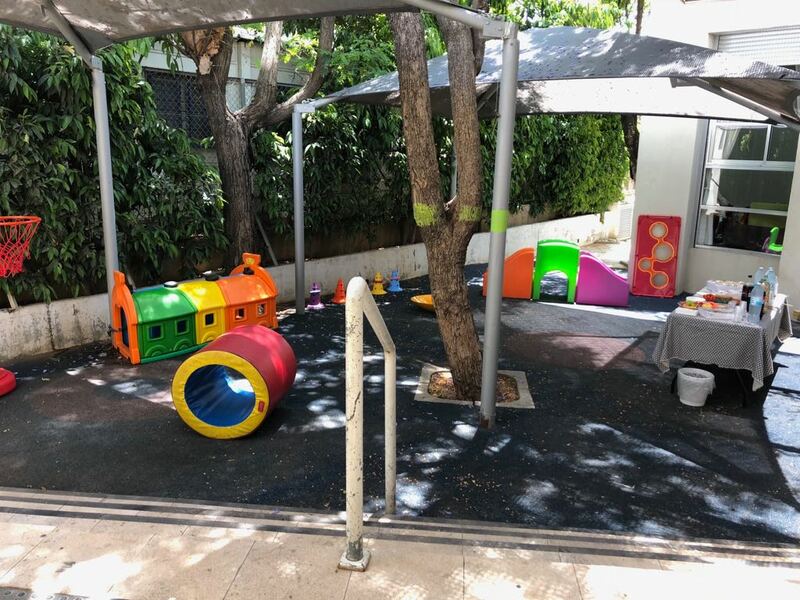 In both scope and quality of engagement with the question of how to improve urban life for the youngest kids and their caregivers, Tel Aviv was unlike any other city either of us have yet experienced. Three experiences from our visit stand out in particular. 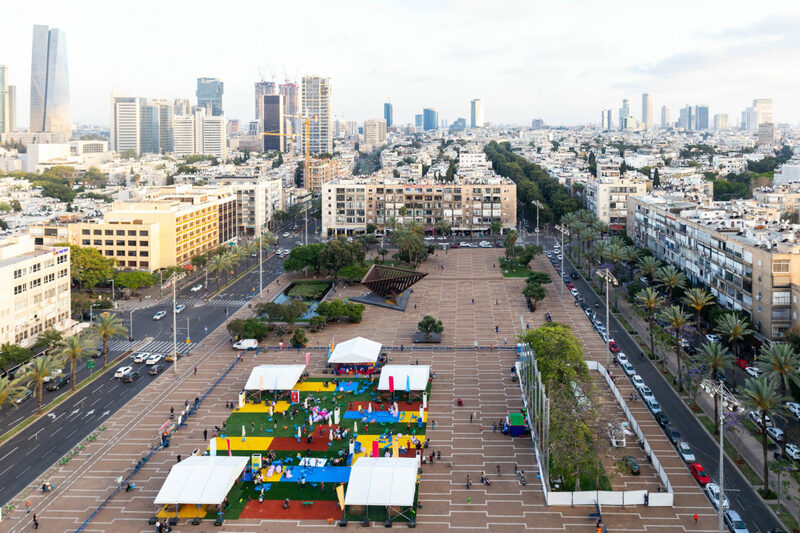 The day before the pop-up ‘Playing in the city’ event in Rabin Square, there was an unplanned additional demand on the space – Israel had just won the Eurovision Song Contest, and the city was putting on a celebration concert. A team from the municipality made space for concertgoers by putting aside the play equipment, then worked through the night to put it all back again so the event could start on schedule. It symbolised how seriously Urban95 is taken. 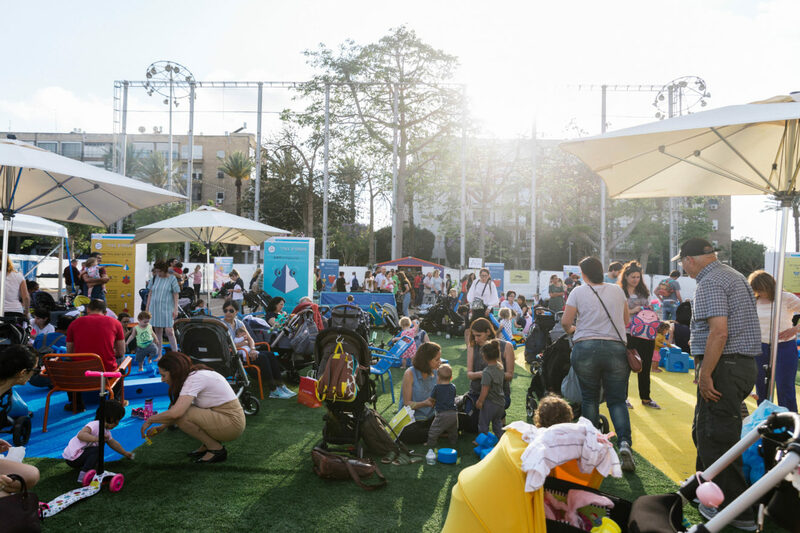 The event in Rabin Square was wonderful – the city’s online platform for parents of children under 3, Digitaf, got the word out to parents, and around two thousand people turned out on the first day alone. As we approached, all we could see was a sea of strollers. But we were also conscious that the event was somewhat self-selecting – parents living in poorer parts of the city would have been less likely to make it into the city centre. So the second experience that especially warmed our hearts was seeing how committed the city is to bringing the same quality of experience to every child, no matter their background. The event in Rabin Square itself will be replicated in Yafo and South Tel Aviv, where more disadvantaged populations reside. But this commitment was already evident in our visit to a school for 160 young refugee and asylum seeker children. At first the school’s situation seemed unpromising: we arrived early in the morning and approached through a park which was strewn with empty bottles from the night before, with some homeless people still asleep. But as soon as we entered the school you could see the quality of the environment was the same as it would be for the highest-income kids in the world. Last but not least, at a visit to a ‘well baby’ clinic we saw how the play area had been transformed in the previous weeks, with imaginative play equipment designed specifically for toddlers. The playground is proving so popular, the municipality is already keen to replicate the redesign across the city’s other 25 clinics. This illustrates how best to work towards citywide scale – through data collection and analysis. While a comprehensive data dashboard is the ideal, good baseline indicators on what is working can be obtained simply by counting visitors to a public space, noting the age of children, how long they stay for and how often they come back. Tel Aviv already had much to offer families before the Urban95 programme. Habima Square, for example, is a wonderful public space – on a par with anything else in Europe. It was truly exciting to experience so many conversations with municipal employees thinking about how young children fit into their jobs, such as improving signage for bike lanes. Going forward, we will be keen to monitor and measure how early childhood is reflected in city budgets – this is the ultimate test of how high a priority something is. But we could see that the Urban95 programme has created strong partnerships, with a high level of mutual trust and eagerness to learn, and the city is well on its way towards creating a culture in which every citizen appreciates the need for every child to have a nurturing urban environment. Tel Aviv is shining a light, and any city in the world could benefit from seeing what they are achieving.